On his way via private jet for sentencing on weapons charges, rapper Lil Wayne arrived in New York from Miami in complete style. According to MTV, Lil Wayne delayed sentencing ‘to get some serious dental work done’, which equated to eight root canals in one day. 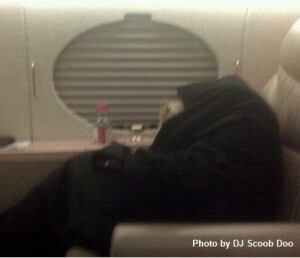 During the flight from Miami to New York (with a stop in Atlanta), DJ Scoob Doo has been documenting Wayne’s last days. No word yet into Private Jet Daily on the company which provided Lil Wayne his ride. Charter Jets World WIde with Exclusive Charter Service, Inc.